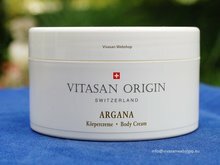 Real Argana body cream from Vivasan , buy cheap on line. 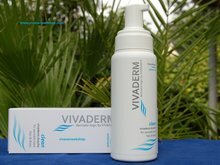 - Vivasan Webshop English - World wide delivery Vivasan Official Webshop® is specialized in shipments to the UK, Ireland and Scandinavian countries. Best prices! 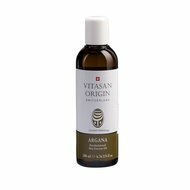 Vivasan Vitasan Origin Argana Body cream is a rich nourishing skin care cream with argan oil, almond oil, d-panthenol and Vitamin E.
Vivasan argana body cream is a rich and nourishing body cream with argan oil, almond oil, d-panthenol and Vitamin E.
Argana body cream is suitable for the daily care of the mature skin. 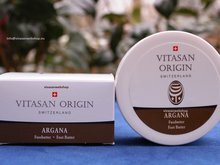 Argana body cream soothes and moisturizes, improves skin elasticity and leaves the skin feeling soft and supple. The pampering oils help to protect the skin from dehydration and irritation. Vitamin E helps in preventing the signs of premature skin aging. 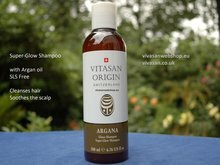 Apply Vivasan Argan body cream generously after bathing / showering or as needed. Massage the Argan body cream gently into the skin. AQUA (WATER), CAPRYLIC/CAPRIC TRIGYCERIDE, PRUNUS AMYGDALUS DULCIS (SWEET ALMOND) OIL, ARGANIA SPINOSA KERNEL OIL, PROPYLENE GLYCOL, CETEARYL ALCOHOL, ETHYLHEXYL PALMIATE, GLYCERYL STEREATE CITRATE, GLYCERIN, SUCROSE STEREATE, MYRISTYL MYRISTATE, TOCOPHERYL ACETATE, PANTHENOL, C12-13 ALKYL LACTATE, PARFUM (FRAGRANCE), PHENOXYETHANOL, DIMETICONE, SODIUM LACTATE, XANTHAN GUM, BENZOIC ACID, DEHYDROACETIC ACID, SODIUM HYDROXIDE, ETHYLHEXYGLYCERIN, POLYAMINOPROPYL BIGUANIDE. This argan body cream id very good for moisturizing the skin. My skin is very dry. After using the cream my skin feels soft and is well hydrated. I love this brand. Please never stop making it.